Up to 40% off now through 9/16/18. Prices as marked on design pages. Midsummer 2018 may have debuted in summer, but the designs and weaves are relevant and perfect for fall. Many combinations are relevant for all seasons, especially for those of you who live in warm climes year round. We still have some of your favourite weaves remaining. We even have your favourites on special. Here’s how to use Look 8 in your transition to fall. Black and White Wispy Striped Linen is a perfect layering weave— especially in one of our duster coats (as shown in the Grasmere Duster Coat). Add a frock in Black and White Floral Voile to add some cheerfulness to a cloudy autumnal day (as shown in the Nook Frock). Our designs in Signature Black Gauzy Linen create an everyday companion that should not be missed (as shown in the Thatched Frock). Here’s how to use Look 1 in your transition to fall. Our Canterbury Cardigan in Rising Sun Ethereal Knit lends itself perfectly to autumnal hues and warm days. It also makes a lovely layering piece as the weather slightly cools. The Iconic Canterbury Frock in Rising Sun Embroidered Washed Silk gives warmth to each autumn day as the temperature cools. Wear under a buttoned-up frock or duster for everyday wear as the leaves change to warm golden and rust hues, which are hinted at in this lovely weave. How to use Look 3 to transition to fall. 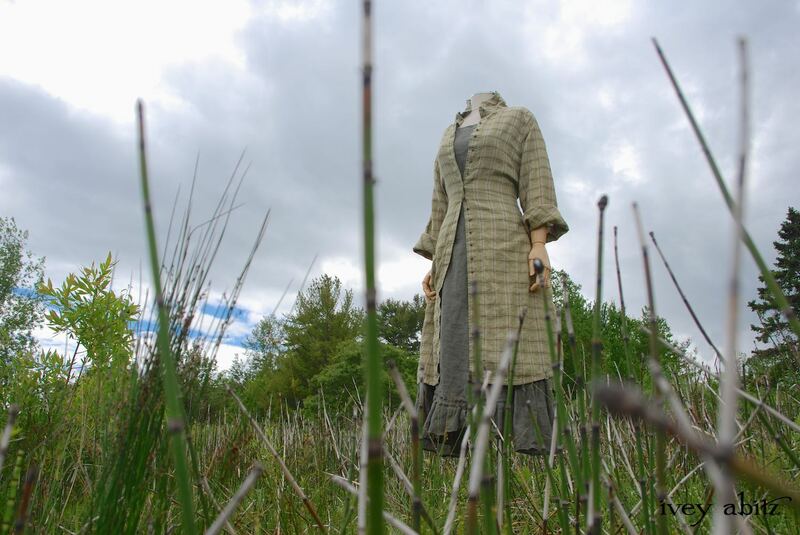 Our designs in Beach Grass Plaid Linen are there for you in the warmth of the sun or the chill of an autumnal day (as shown in the Phinneus Coat Dress). Beach Grass Wispy Washed Linen creates a lightweight layer and base hue that combines beautifully with palettes for any season (as shown in the Tilbrook Frock). Sun and Sky Cotton Voile is a quintessential layering weave that, and this hue screams to worn into the fall and winter (as shown in the Highlands Shirt). Head to the Highlands in your comfortable and flattering Highlands Skirt. 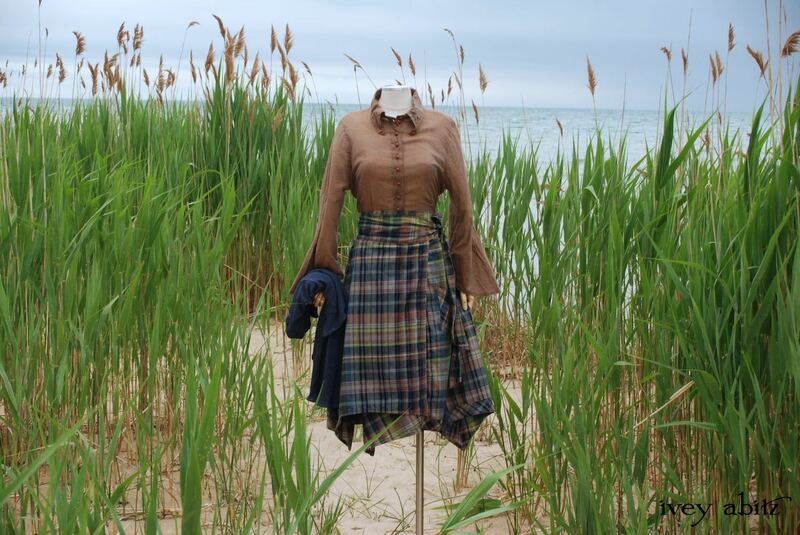 In the Onward Blue Cottage Plaid, you can create an ensemble that is perfect for any temperature. Discover more transition to fall favourites with the inspiring Look Book. Plus, every fabric is on sale through 9/4/18. A very special opportunity in the Midsummer Collection is here! 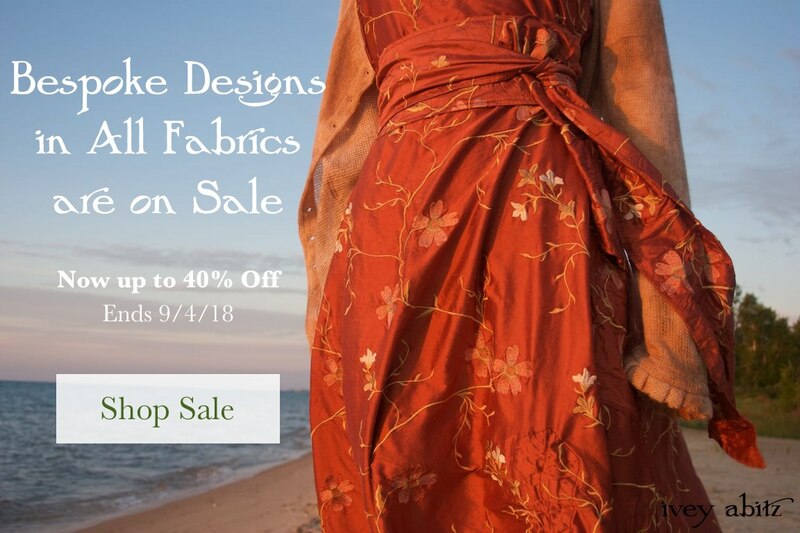 Now through 9/4/18 get 40% off Rising Sun Embroidered Washed Silk – a featured fabric from the Midsummer photoshoot. This fabric glows like the sunrise, and that’s how we present it to you. We photographed this fabric in Look No. 1 at 5:30am, sunrise near the 45th parallel. The wind was brisk, and we shivered both from the spray of the waves and the beauty of the moment. 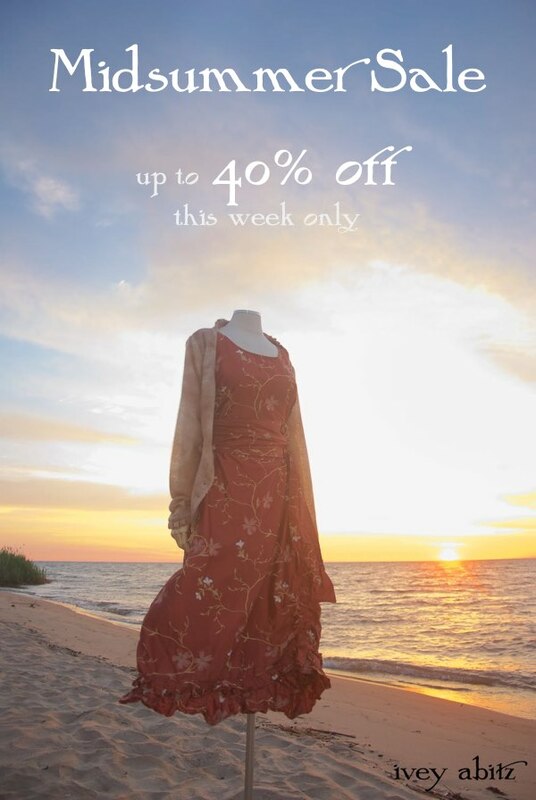 Order your favourite Ivey Abitz design in Rising Sun Embroidered Washed Silk and get 40% off. But only while fabric lasts. No substitutions, applies to new orders only. Sale ends 9/4/18. Every fabric is on sale now through Tuesday. We look forward to creating quality bespoke clothing just for you! Pictured: Canterbury Frock in Rising Sun Embroidered Washed Silk, now offered at 40% off for a limited time. The first sale of the season–up to 40% off on our ultra-premium fabric weaves and design combinations. The one and only complimentary frock offer of the season begins today, whilst fabric lasts! As a thank you for embracing the collection and creating your everyday wardrobe with Ivey Abitz bespoke garments, receive a complimentary frock with your qualifying mid-spring order of $950 or more. A value of up to $475, the complimentary frock is our gift to you — whilst fabric lasts. When checking out with a bespoke order of $950 or more, simply write your size choice (XS, S, M, L, XL), length choice (high water or low water), and fabric choice in the comments box of your shopping basket. Offer begins May 11, 2018 and ends May 18, or until fabric choices are sold out. This offer will not be combined with past or future orders. IA101 orders do not qualify for this offer. 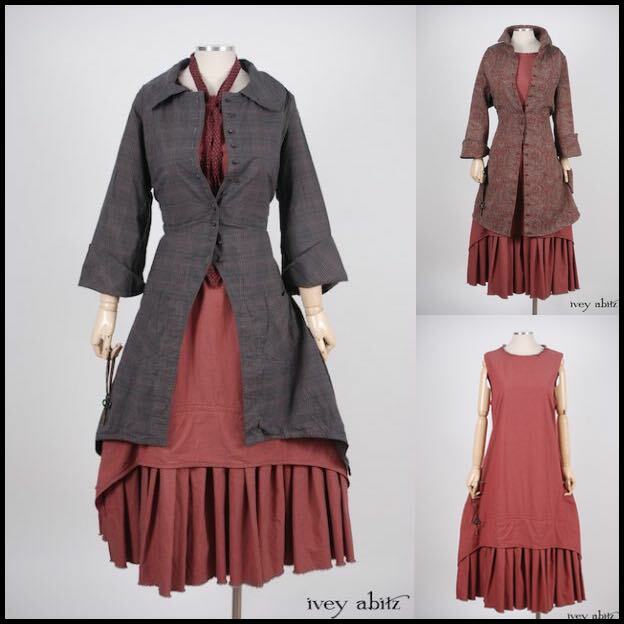 Dresses and Dusters are the biggest sellers in the Ivey Abitz bespoke clothing collection. Versatile and practical, dresses can serve as a base layer and – depending on the fabric you choose – a stand alone outfit in your bespoke Ivey Abitz wardrobe. Dusters make versatile top layers. Order a heavier fabric for a coat, or order a lighter fabric for an indoor jacket. Check out the Spring 2018 Look Book to see these important pieces in over 50 ensembles. Now Dresses and Dusters are on sale for a limited time. That includes Frocks and Coat Dresses, too. Spring fabrics are selling out steadily, so you’ll want to check our SOLD OUT fabric update page. Finally, Ivey Abitz is now on Twitter and Instagram. We hope IA News continues to bring you a small dose of grace through beautiful design. Having you on our list is certainly an inspiration for us to keep creating. Thank you again for subscribing. Introducing the new Fabric Status page at IveyAbitz.com. We receive many inquiries asking about which fabrics are nearly sold out in the current bespoke collection. Now you can save time and get the answers directly from the Fabric Status page. Sold Out fabrics are listed at the top, and Nearly Sold Out fabrics are listed next. Keep in mind that sometimes fabrics will sell out before we have a chance to add them to this list. The moral of that story is to order early for best fabric selection. We will be updating the fabric status page manually as we monitor our fabric stock, so use it as a guide but not a guarantee of availability. Sometimes we are able to get more of a particular fabric after it is sold out, but this is a rare occasion. It may involve a wait while the fabric is made at the mill, which can take weeks or even months. In this case, we suggest discovering a new fabric to obsess over. Remember, the next collection is always around the corner. And one thing you can depend on is the continuation of the Ivey Abitz aesthetic from season to season. As always, contact us if you have questions about fabrics. Even with website technology at our disposal, there is no substitute for personal interaction. Its various parts — its garden, gate, veranda, door, siding, chimney, windows — all work together to shelter us. Its various parts — its skin, neck, arms, chest, waist, hips, legs — all work together to live out our calling. Its various parts — its shape, lines, drape, stitches, threads, texture, hues — all work together to honour our internal and external being. Home is a refuge where we are comfortable, content, and truly ourselves. 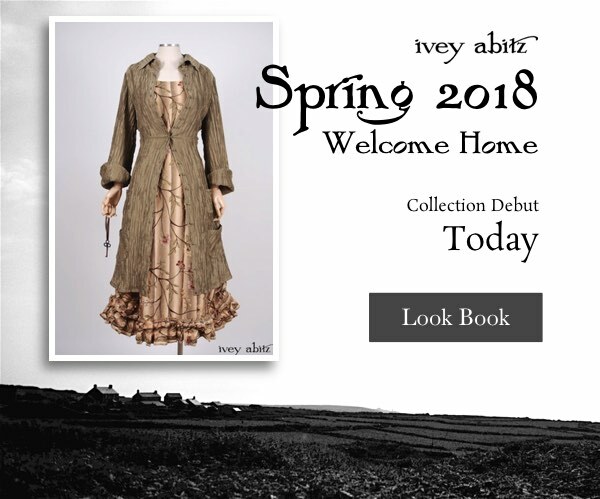 We hope you will find your sartorial home in Ivey Abitz bespoke clothing this spring. View the Spring Look Book, where you’ll get inspired by the 58 looks in our new spring fabrics. And don’t miss your chance to get one of the few remaining, extra special spring fabric swatch portfolios. Order early for best selection. Debut pricing is effective for a limited time. Subscribe for more IA News here. 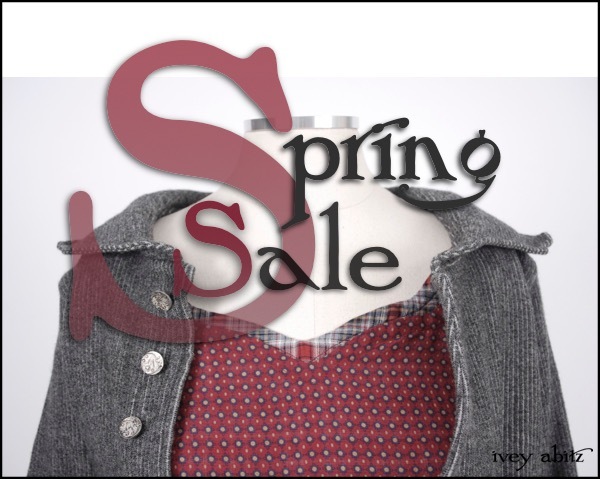 OFFER ENDED Early due to popular demand – we ran out of Tilled Field and Pewter Knit! Pineyrie Shirt Jacket – complimentary with your order of $750 or more for a limited time. 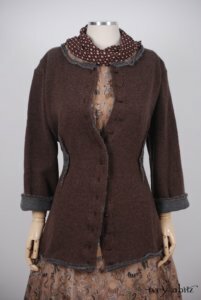 Place your bespoke order of $750 or more and receive a Pineyrie Shirt Jacket in Tilled Field and Pewter Knit. A value of $675, it’s our special Winter 2018 gift to you. Please consider it our thank you for your appreciation of Ivey Abitz garments — their uniqueness and quality. Simply write in the comments box of your order your size request in the Pineyrie Shirt Jacket and if you’d like it with or without the side ties. See the Pineyrie Shirt Jacket product page for size measurements. If you do not mention the ties, we will make the jacket without them. 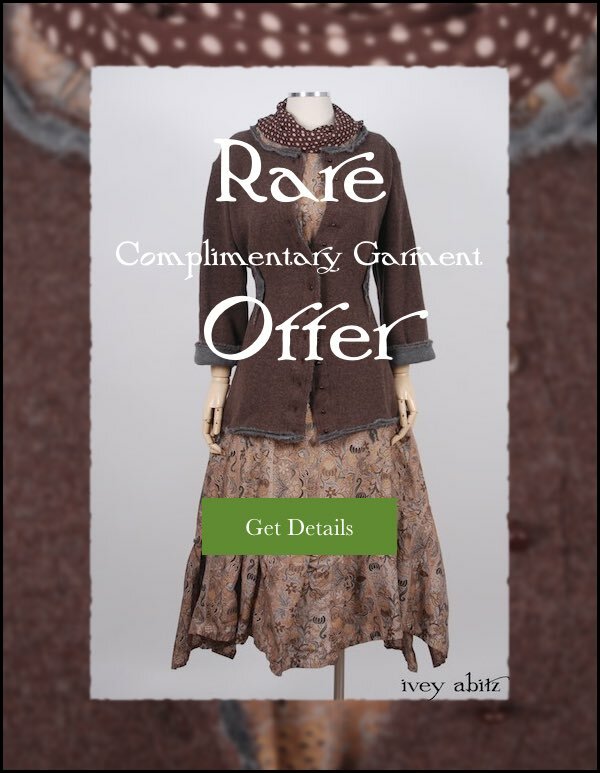 This offer is available from 2/18/2018 through 2/21/2018, or whilst Tilled Field and Pewter Knit fabric lasts. It does not apply to previous or future orders outside of these special offer dates. Introducing IA101 Essentials, a collection of ready-to-ship designs to jump start your Ivey Abitz wardrobe. We selected a core group of designs that make the basic building blocks of a comprehensive Ivey Abitz collection, and we made them ready-to-ship. IA101 is your entry to the world of Ivey Abitz. With the basics in your closet, you’ll be ready to build your authentic wardrobe with bespoke pieces from our seasonal collections. Shop the basics in IA101, and you’ll get everyday life garments you’ll love mixing and matching for years to come. Soon you’ll be living comfortably, confidently, and authentically with Ivey Abitz garments as your second skin. Start with the IA101 Look Book to see the looks you can put together. 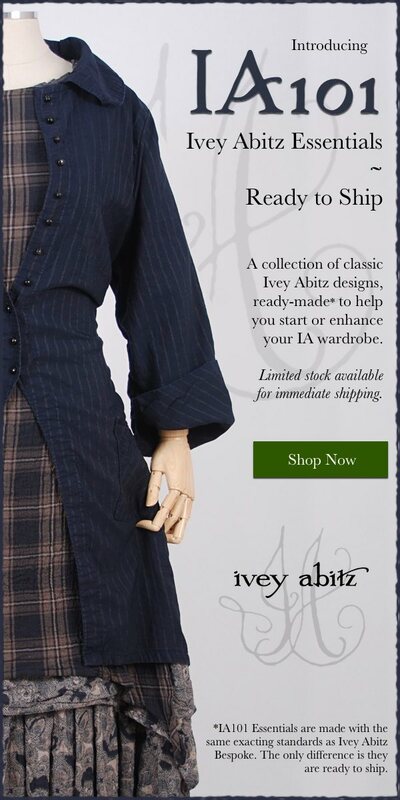 Or go directly to the IA101 shopping page where you’ll find all of the ready-to-ship Ivey Abitz classics. 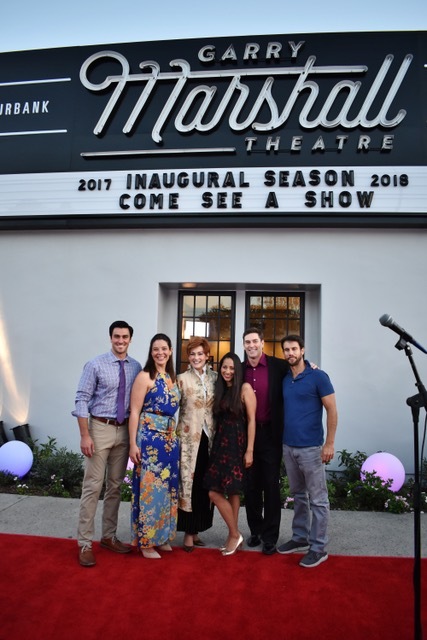 Carolyn Hennesy wore Ivey Abitz Fall preview ensemble to the opening of the Garry Marshall Theatre, where she starred in a production of Master Class. 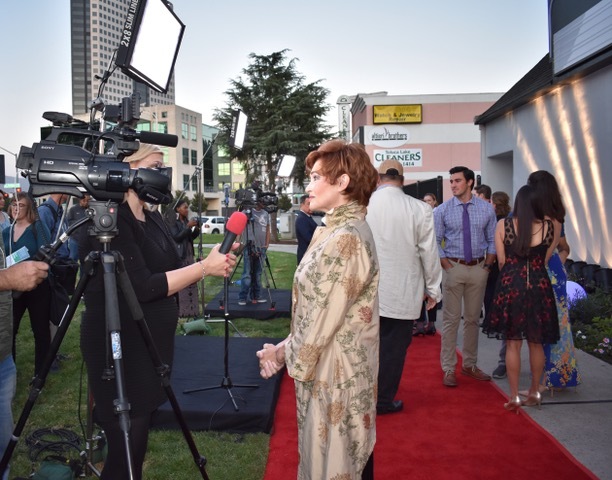 Emmy award winner Carolyn Hennesy graced the red carpet in an Ivey Abitz bespoke ensemble last weekend at the opening night red carpet gala for “Master Class.” She stars in the inaugural play at the new Garry Marshall Theatre in Burbank, California. Carolyn plays the lead role of world renowned Opera diva Maria Callas. 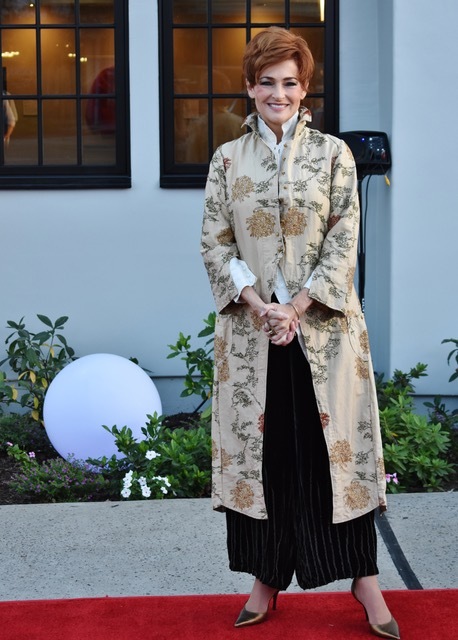 We made Carolyn’s opening night bespoke ensemble from our upcoming Fall/Winter fabric palette. It features the Palliser Duster Coat in a rare embroidered silk taffeta; Palliser Shirt in an ivory plaid silk; and Lydia Trousers in silk velvet. Read on for photographs of the gala, as well as a link to the KABC news piece featuring Carolyn looking absolutely stunning in her Ivey Abitz bespoke. We encourage all of our clients in Southern California and the surrounding area to go see Carolyn in the play. Support a fellow IA friend and this wonderful new nonprofit theatre. For info and tickets, visit the Garry Marshall Theatre website. 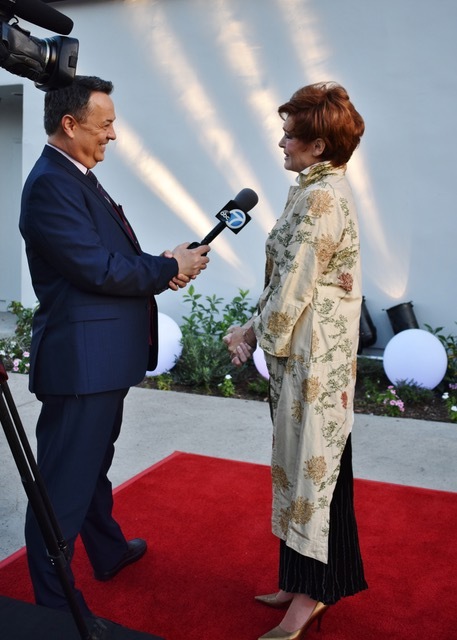 Carolyn Hennesy interviewed in Ivey Abitz bespoke by George Pennacchio of KABC-TV, Los Angeles, at the opening of Master Class. 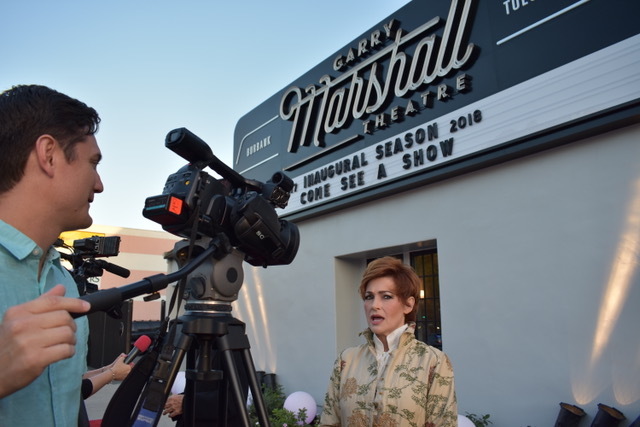 Carolyn Hennesy talking to the press at the Garry Marshall Theatre wearing Ivey Abitz Fall Bespoke. Carolyn Hennesy with cast of Master Class, wearing Ivey Abitz.